This ad, promoting emigration to colonies on habitable moons within the solar system or on extrasolar planets, plays from a passing dirigible in a congested future city. Years later, after a tremendous apocalypse, a severely degraded version of this same ad is found playing from a ruined billboard. Ad for a line of completely lifelike companion androids. There are always companies who make money by exploiting a horrific tragedy such as a military attack on a civilian target. Long-form infomercial for a series of holographic programs about the Great Razgon War. In Infinite Definition! An ad for a Rocket Pod race. Nitro-burning Funny Cars at the US30 dragstrip ain’t got NOTHIN’ on plasma-burning rocket pods! An over-the-top dramatic recruitment ad for the Planetary Defense Corps. Ad for suspended animation chambers, aimed at interstellar business travelers who have had less-than stellar experiences with long space flights. 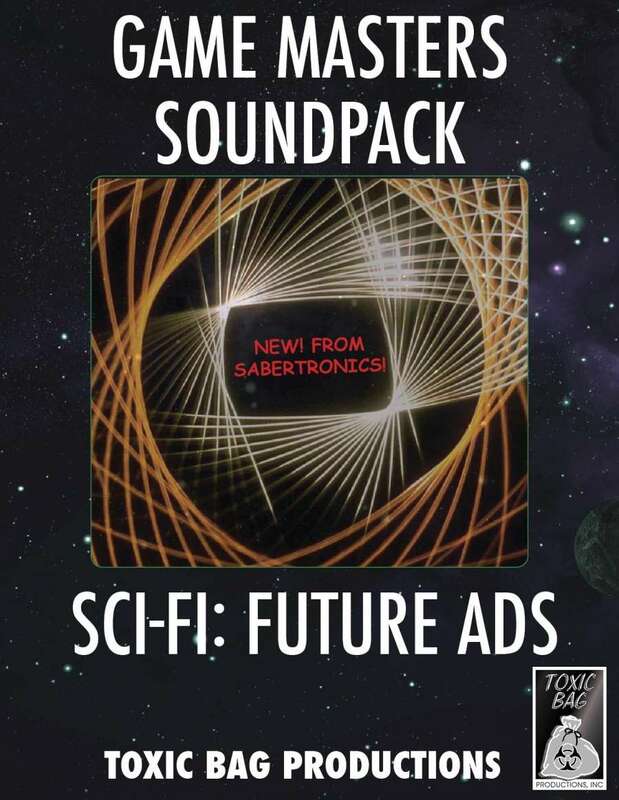 * The Galactic Communications Commission has banned subliminal, encoded or otherwise implanted messages in advertising.